Midway were responsible for some of the greatest arcade games of the 80s. Today we will review some of the all time great from the retro factory of Bally Midway Arcade Machines. 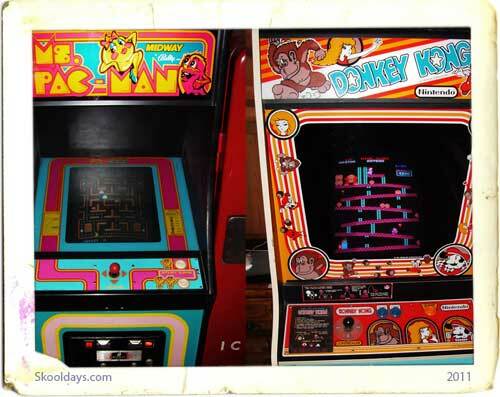 There is only one real game that stands out for all the right reasons, as you uncle or aunty ask your neighbour or work colleague, ask them what company published the first main-stream arcade game ? Most would say they don’t know, but it was probably the company behind Space Invaders. Well they would be right. Midway and Bally teamed up to publish the awesome Space invaders designed by Taito. Released in 1978. Space Invaders was originally manufactured and sold by Taito in Japan, and was later licensed for production in the United States by the Midway division of Bally. Space Invaders is one of the earliest shooting games and the aim is to defeat waves of aliens with a laser cannon to earn as many points as possible. In designing the game, Nishikado drew inspiration from popular media: Breakout, The War of the Worlds, and Star Wars. To complete it, he had to design custom hardware and development tools. After space invaders success, Midway came up with a different approach in the arcade machine market. Galaxian’s innovation wasn’t exactly earth-shattering, but it was more than enough to set the game apart from the pack of clones. The aliens still lined up in orderly rows, but they broke ranks to swoop down and attack your fighter, often led by a commanding flagship. Like Space Invaders, you moved your defender side-to-side, avoiding enemy fire and fighting back with your own blaster. As one convoy of aliens was destroyed, another would rise to take its place, and so the game went until you made one too many wrong moves. With lots of promise it didnt quite deliver as well as psygnosis version for the playstation a few years later. In facts even years after Chicago Coin’s Demolition Derby, Bally Midway revived the car-crashing sport in its own four-player, full-color update. Midway’s Demolition Derby looked and played a little differently than its black-and-white predecessor, but the lure of destructive mayhem remained the same. With thousands of Pac-variations to come from the original. There was a small maze on the video screen, and using the joystick control, your job was to guide Baby Pac-Man through the maze, chomping power pellets and avoiding ghosts. But one difference was instantly clear: there were no energizers, those glowing little orbs that let you turn the tables on the ghostly foursome. Those had to be earned down below, on the pinball table. The concept of Joust was as old as the Middle Ages, but with a bizarre underworld flair. Mounted knights still tried to dismount one another with long lances, but their trusty steeds were replaced with large birds. And if things weren’t nutty enough already, the programmers threw in a fiery Lava Troll and a near-invulnerable pterodactyl. Originally produced by Williams though I’m led to believe that Midway have purchased the rights to produce this awesome game. On a planet under siege by marauding conquerors from space, a lone spacecraft was the native species’ only Defender. A groundbreaking achievement in video game history, the cosmic hit Defender was all the more remarkable in light of its surprising history. In more recent times Midway Arcade Treasures was released as a collection of 24 arcade games developed by Digital Eclipse and released for the GameCube, PlayStation 2, Xbox and PC. It was a huge success showing that many still fondly remember the Midway arcade machines.